I will never forget the first time I saw the TOMB. It was an oppressively hot and rather muggy evening in early July. I was studying in Old City Jerusalem. There were four of us. American women dressed in “holy garb”. Head covered, shoulders covered, knees covered. 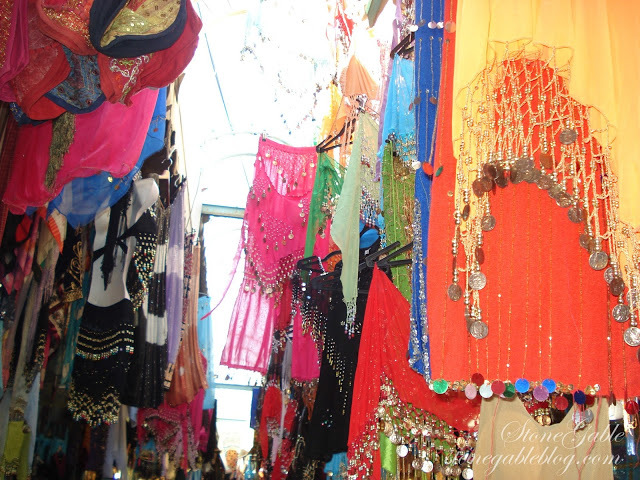 Our head scarves wet with perspiration stuck to the sides of our cheeks and rivulets of sweat ran down our backs partly because it was stifling and partly because we were overcome with heart racing anticipation of where we were headed. 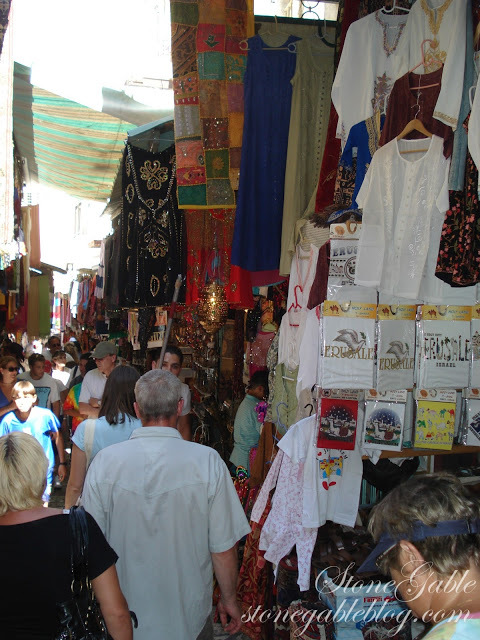 We darted through the very crowded and close Arab market that was alive with strange faces and unusual aromas and brightly colored wares hung on each side of the narrow streets two stories high. The streets were so narrow that we could hardly walk four across. We had ventured out away from the rest of the students to visit and the Church Of The Holy Sepulchre, the holy burial chamber of Jesus of Nazareth. The four of us decided that we did not want to visit the tomb as a part of a study course but as a pilgrimage. And so it was. We scurried along huddled together, grasping at one another’s hands and clothing just to make sure we were not parted in the crowd. The streets were a labyrinth of alleyways and passages. The ancient stone buildings so tall on both sides it felt as though we were in a tunnel! It wasn’t long until we were completely lost! At one point in an attempt to find our bearings, we stopped at a corner of an ancient stone building. Standing in the middle of the street, I could stretch my arms out and almost touch the building on the other side. I could feel the panic starting to rise up inside me. I don’t like the feeling of being closed in! The panicked feeling mingled with the heat of the day and made me feel lightheaded! I put my hand against the wall in front of me to steady myself and touched something etched into the building. It was a plaque of sorts. 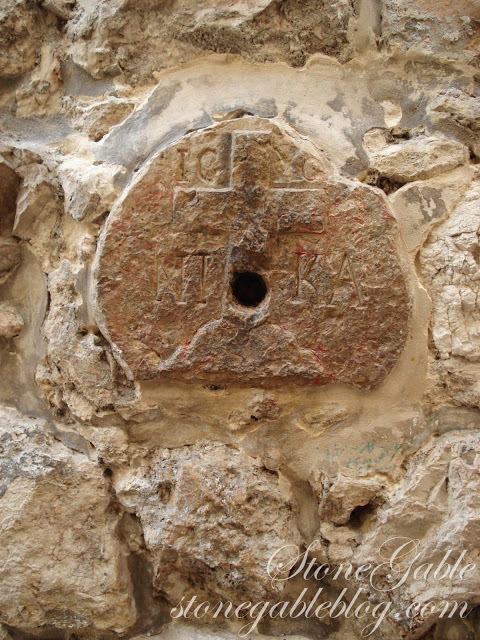 A cross and the word NIKA engraved into stone. NIKA means “victory”. The word came from the hidden corner of my brain. I remember studying this Greek word a long time ago. I knew exactly what this ancient stone was. We had stumbled on to the VIA DOLOROSA. The way of the cross. Our small group of women pilgrims was standing in front of the eighth station of the cross! We were unknowingly walking the path that our Savior walked over two thousand years earlier as he carried His instrument of death to Calvary! Right there in the midst of the market and the noise and the smells and the heat and the crowds of strange faces was the Way Of The Cross! Because of my early religious background, I was able to remember the eighth station on the Via Dolorosa. JESUS MEETS THE WOMEN OF JERUSALEM. At this point, I was totally overcome by the divine appointment that brought us to this exact place! We were out to meet our Lord! And we were strengthened by the peace and comfort those thoughts gave us! When we finally got to the Church of the Holy Sepulchre it was dark and horribly hot but thankfully, the church not overly crowded. How could I ever explain this “church“. Think of a fortress the size of a football field. Nothing to me resembled a church or Calvary or a garden tomb. The church was lit by hundreds and hundreds of ornate oil lanterns in different jewel toned colors and shapes hanging from above and the whole huge church-fortress smelled like burning oil and incense! There was nothing western or familiar about this place. It was old and oriental and orthodox! We made our way to an area in the huge complex-of-a-church that was the tomb where Jesus was buried. Of course, it looked nothing like a garden and nothing like a tomb. It was a small church inside the big fortress church. A church inside a church! I decided to sit on a bench near the opening of the church-tomb to reflect and get myself in a worshipful place. My sister-in-law sat with me. I spent a lot of time weeping quietly. I was so overcome by the magnitude of it all. Of Jesus’ supreme sacrifice for me and the extreme and lavish gift of life everlasting at my God’s expense pierced my heart! Just before the Church closed for the night, four American women in holy garb got in line to go into the tomb. 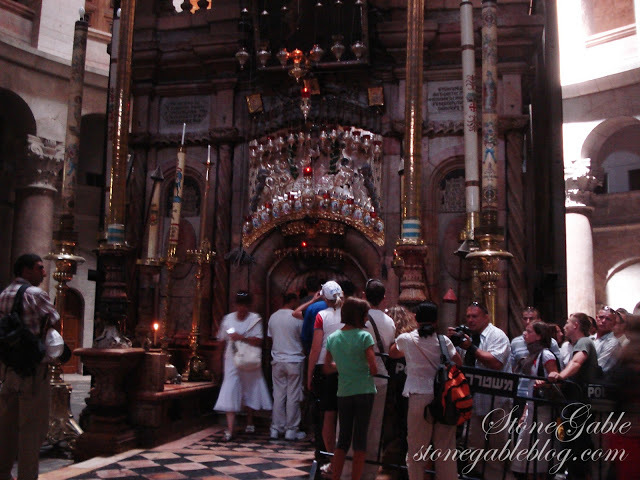 Into the Holy Sepulcher! There are just some things about the tomb visitation I still want to keep locked in my heart. Things that I ponder and treasure. Things I don’t want to share because if I do I’m afraid they will slip out of my mouth and float away into thin air and I won’t get them back inside me again! Things between me and God! I was in the inner tomb. Inside, where you could see that it was actually a cave. Where they laid the dead body of Jesus of Nazareth. It was a small cramped space. Only a couple of people could fit in at a time. I could not stand upright. It was a real tomb. 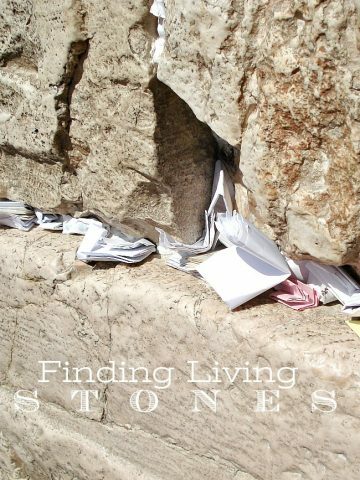 I knelt down at the stone slab where my Lord’s body once was. I draped my arms over it and laid my cheek against it and the thirsty stone drank up my tears! The tomb was empty! Jesus was not there! And they found it empty too! 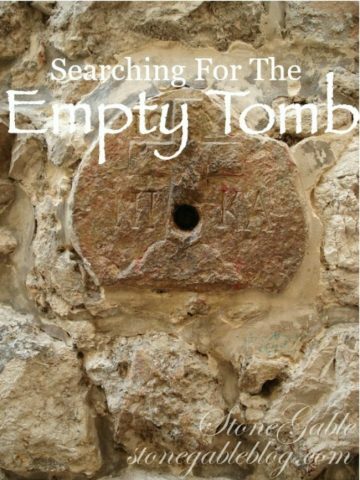 I have seen the empty tomb with my own eyes! That is absolutely beautiful, Yvonne. What an experience to touch the very place He laid! Thank you for sharing this! What a Savior we have!! I can not even imagine walking the steps that our Jesus walked on the way to Calvary. What a blessing to have this experience! Thank you so very much for sharing your experiences and love for Chris with us. I look forward to all of your posts but especially you Sunday post. Thank you for sharing the love of God with the world. I’ve read your story of being at the tomb before. Probably last Easter. Today the Lord has spoken to me in scripture and in your story. What a wonderful season we are in. My heart is overflowing with His love. Hi Yvonne! Thank you for sharing your story. How amazing and moving to be able to see the tomb of Jesus! Thank you so much for sharing. Wonderful retelling of your experience. I want to share my awe-inspiring story. Due to a series of mishaps while on vacation, I found myself alone in a huge cathedral in Bayeux, France. I walked up and down each aisle admiring the art and carvings and feeling a holy presence. I thought of the history of that cathedral, the work it took to build it and the faith of the people that worshipped beneath its’ arches………what a feeling! One of my favorite things to do is step inside old, abandoned churches. I can hear the voices raised in praise, followed by the whispered prayers. Sometimes I think empty churches are more reverent than the ones filled on Sunday morning. Thank you so much for sharing your story of your trip to the tomb of our Lord! I so wish I could see it too, but I am glad to have read about your journey. Thank you for sharing! Thank you for sharing this beautiful story. I am not generally an emotional person and this brought tears to my eyes as it does when I am in church and reflect upon the sacrifice that Jesus made so that I could be saved. Wishing you and your family a joyous Easter! You stay so close to the teachings of God. I love your blog. No telling how many non Christians you have touched. Even as a believer in Jesus you always remind me of His great love for us. God bless your ministry. Please pray for that Julie! Thank you for sharing these treasured moments! Blessed be the name of the LORD!! Thank you for sharing this beautiful testimony . I hope one day to visit as well ? As I was reading this with tears running down my face I felt the presence of the Holy Spirit. Thank you for sharing. May many who read this experience His presence also and know that He lives!! I read your blog each time you post and enjoy your decor advice. However, it is your Sunday posts that I enjoy the best. Your devotion and faith comes across clearly and passionately. I am a practicing Catholic and I share your passion for our risen Lord! 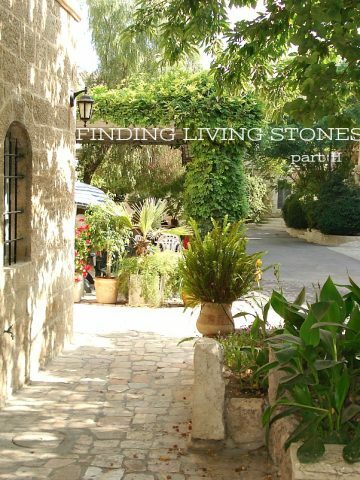 Thank you for sharing your experience there in the Holy Land….I could close my eyes, and feel as if I were with you. One touch of Jesus Christ, and your life will be changed forever….He is indeed alive…living in, and through us. May we seek to shine his light through our lives everyday to each one he brings into it. Blessed Easter, Yvonne…I share your joy in his promise of everlasting life. Thank you for sharing this beautiful, moving account of your experience. Oh my goodness, what an amazing story! For the first time in my life, I want to see the Holy Land. Are you Orthodox? Thank you for sharing this. Oh Yvonne, your words took me along with you as you shared your experience and powerful testimony I felt as if I was there witnessing it all and I held it in my heart. He is risen indeed! Yvonne, so beautifully written and heartfelt. I had tears running down my face. Thank you for sharing the real meaning of Easter. Easter gets over run with bunnies (which I do love them) and colored eggs. You brought the true sacrifice and meaning to Easter. Thank you for sharing such an intimate experience in your life. Beautiful words… thank you for taking us along, on such a personal journey to see the empty tomb. The resurrection changes everything for you and me, and all who believe! Praise God. Yvonne, what a beautiful testimonial! I loved seeing this treasured place through your eyes. Thank you! I am wearing just reading your words. What an awesome experience. Thankyou so much for sharing. I am only now seeing this post – BEAUTIFUL-WONDERFUL EXPERIENCE!! Thanks for sharing!!!! Thank you, Yvonne. Each and every day I look forward to reading your teachings,. And this was amazing. Your extremely lucky to have gotten that opportunity and how exciting it must of been to be where Our Saviour was. He is there no more! Praise God !!! I love reading your Sunday posts, this one in particular. You took a journey so many of us can only dream of, and I can’t tell you how much it means to me to see it through your eyes and heart. Thank you! What an amazing retell of your experience. You have brought tears to my eyes as I put myself in your place imagining what you saw and experienced. Thank you and may God bless you. This is so lovely, Yvonne. What a wonderful experience our Lord gave you. I wept as I read your words and know exactly how you feel about keeping some of your memories locked away in your heart. 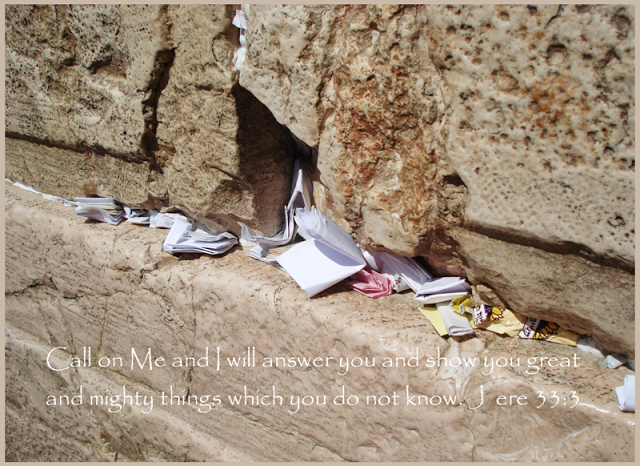 One of my greatest desires is to visit the Holy Land one day. He is risen indeed! I thought of you tonight while watching the finale of the Bible. To have laid your face on the stone where Jesus laid was priceless. He is risen! He is risen indeed!! A beautiful post and images. Happy Easter, Yvonne! Thank you for your beautiful testament. Thank You Yeshua!!! And thank you Yvonne for letting Him work through you to teach us! I am having cold chills all over my body. Thank you for sharing this wonderful story with us. Happy Easter. Thank you so much for sharing your visit to the ’empty’ tomb of our Lord Jesus. What an amazing experience to have and to see. Blessings to you this Easter Sunday. He is risen indeed!! Oh wow, what an amazing and beautiful journey you have shared with us! I read it with the love of God in my heart. Thank you for sharing and have a wonderful Easter. You have written this so beautifully, that I am quivering in my whole self. Thank you so much for sharing your beautiful story. May God Bless you this Easter. Yvonne, you brought tears to my eyes when you entered the inner tomb. How blessed you are to have laid your cheeks against the tomb that held the Body of our dearest Lord. I know I will never live this moment that you were so very blessed to have lived but what you wrote has been added to my Rosary meditations. I will always treasure it. Thank you so very much for sharing some of your blessed moments! Yvonne, Thank you for sharing the beautiful story of your visit to the tomb where Jesus was buried. Happy Easter and God bless you and your family. Thank you for taking me there if only in my mind, you did it beautifully! Thank you, Yvonne. I loved living through your experience this morning. I will think of this all day today. I have only been in my thoughts and imaginings, but you have taken me there this morning. thank you for sharing this today. Blessings, Yvonne, have a wonderful day! Oh you have brought such emotion to me this Easter morning. Thanks for allowing me to take a walk with you that I know I will never physically take. Thank you so much for sharing this wonderful post! Happy Easter! Giving praise and thanks! Wishing you a Blessed Easter! Beautifully written and I have seen it, too back in 1983. He is Risen, indeed!